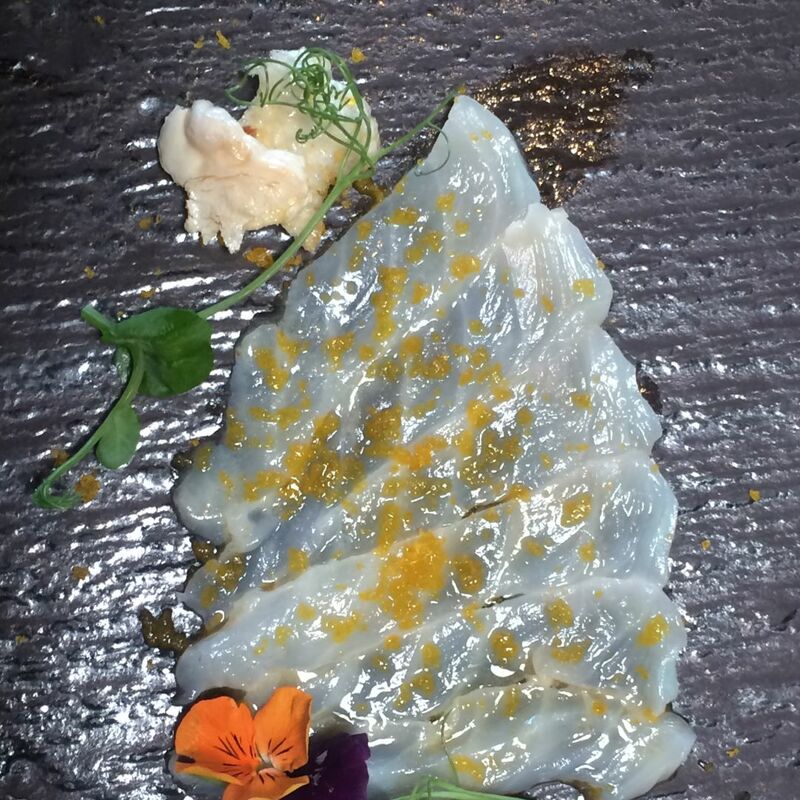 Our dining editor eats the potentially poisonous blowfish. It was 1991, season two of The Simpsons, and Homer was newly enamored with sushi. You know the story, the apprentice sushi chef may have incorrectly sliced the fugu and Homer may have had 22 hours to live. An additional 25 seasons of the show reveals the ending. On Friday, I headed to Kata Robata to try the blowfish. Spoiler alert: I'm also still alive. Of course, I was in uncommonly good hands. Chef Manabu Horiuchi actually presented me with his "certificate of license for cutting swellfish," as the translation said. 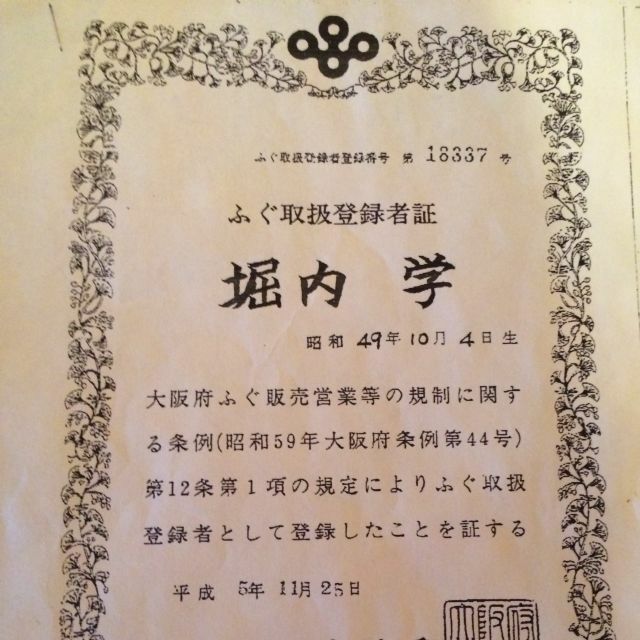 Such a license isn't required in the United States, but it is in Horiuchi's native Japan, where he earned the certificate in 1994. 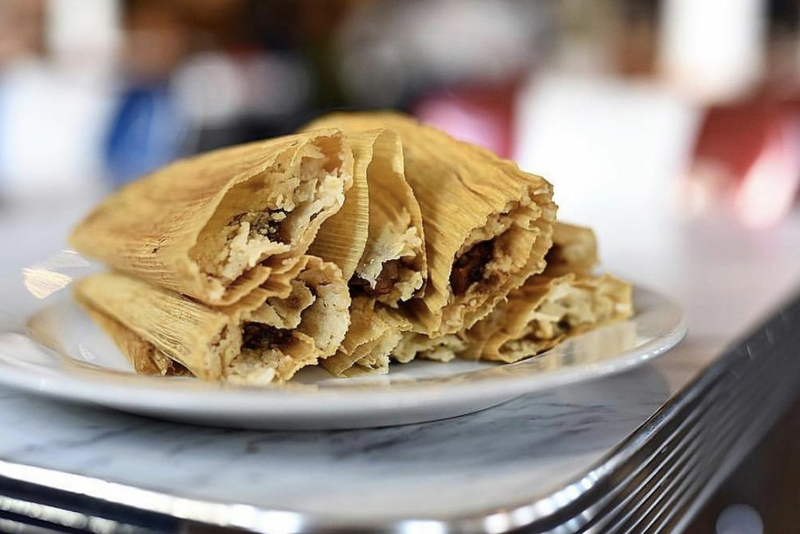 "Fugu is very common fish in Japan," Horiuchi said, explaining that in his homeland, the blowfish is far from the curiosity it creates in the United States. But perhaps because it's eaten as widely as it is in Japan, there are a few accidental deaths each year. Though there's no known antidote, fugu poisoning can be treated with a good, old-fashioned stomach pumping and diet of activated charcoal if it's done quickly. "If your tongue is numb, go to the hospital!" Horiuchi warned me. But there was next to no risk of that. Fugu that arrives in the United States from Japan is flash frozen and already been freed of its toxic organs, including liver, ovaries and eyes. The rest of the fish is intact and at Kata Robata, Horiuchi uses every part. 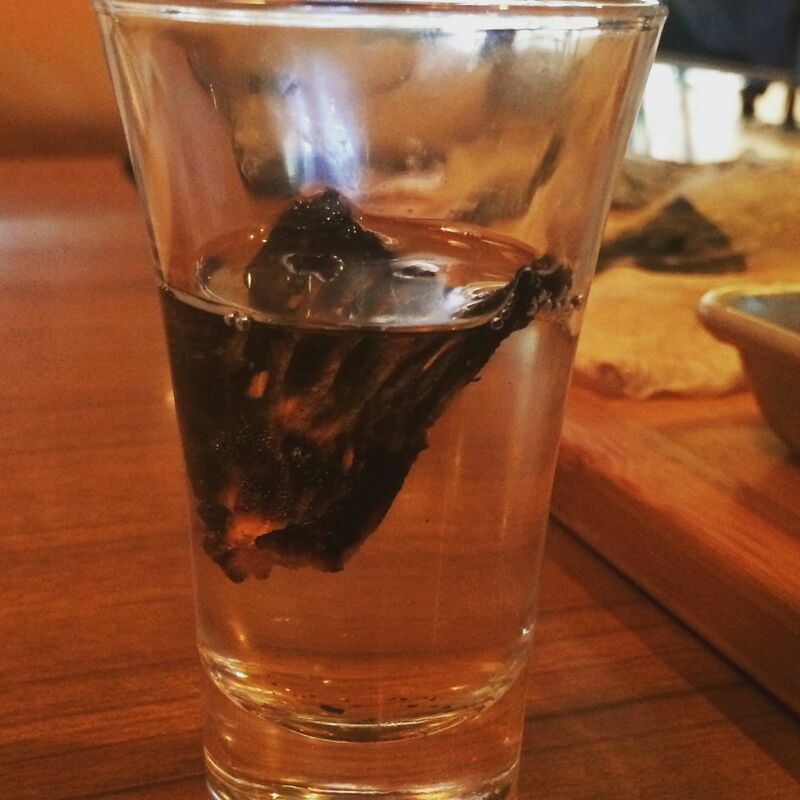 To prove it, he began my tasting with a hot cup of sake with a fugu fin floating in it. 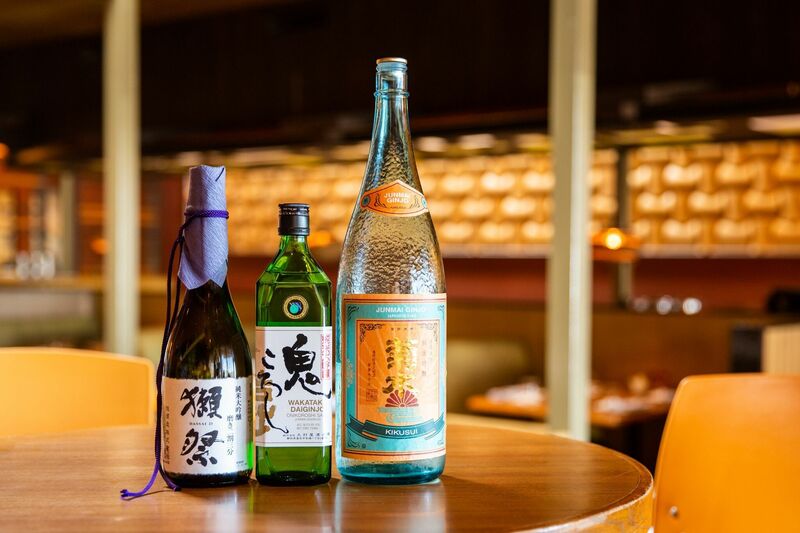 Did the sake have a nutty note? 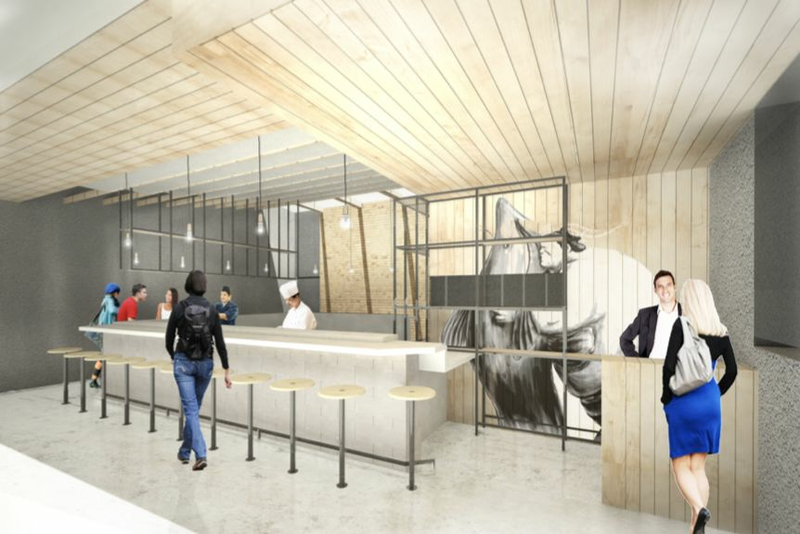 No, Horiuchi and Kata Robata general manager Blake Lewis assured me. 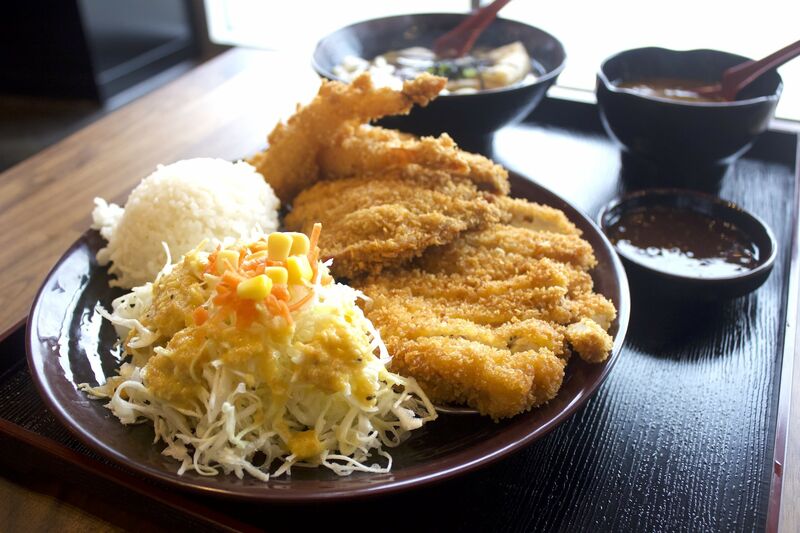 The fish itself, with its umami flavor that works as "natural MSG," was responsible for that flavor and a hint of brine. The first plate Horiuchi presented was plain, paper-thin slices of meat with thin curls of skin. The texture was rubbery, but the flavor was light and slightly sweet, austere Japanese taste in its purest form. Horiuchi described it as thus: "It's not like a fancy white fish or sea perch. It's very light fish but is very delicate. Not fishy at all. Very clean." A carpaccio in a light ponzu put that clean flavor to use, absorbing every bit of taste from the sauce, which blended with the pea shoots also presented on the plate. 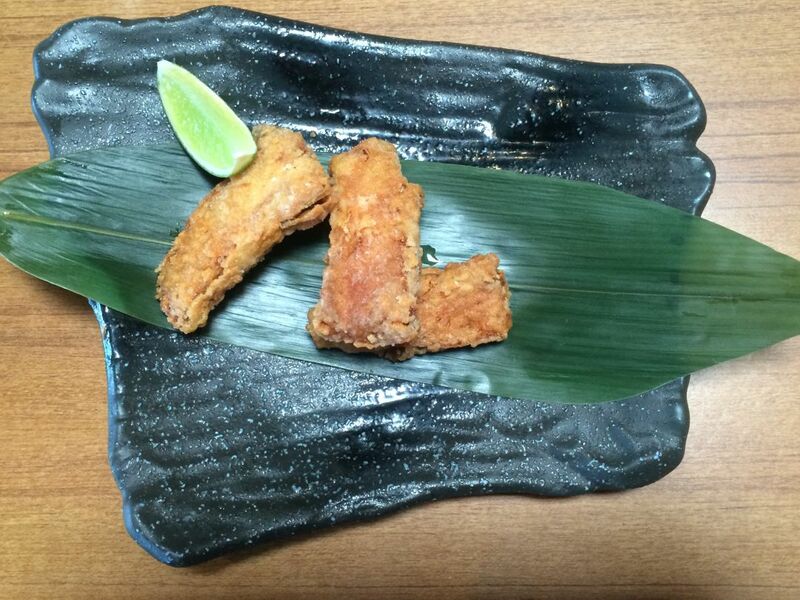 The skin was fried into popcorn-like blowfish chicharrones. 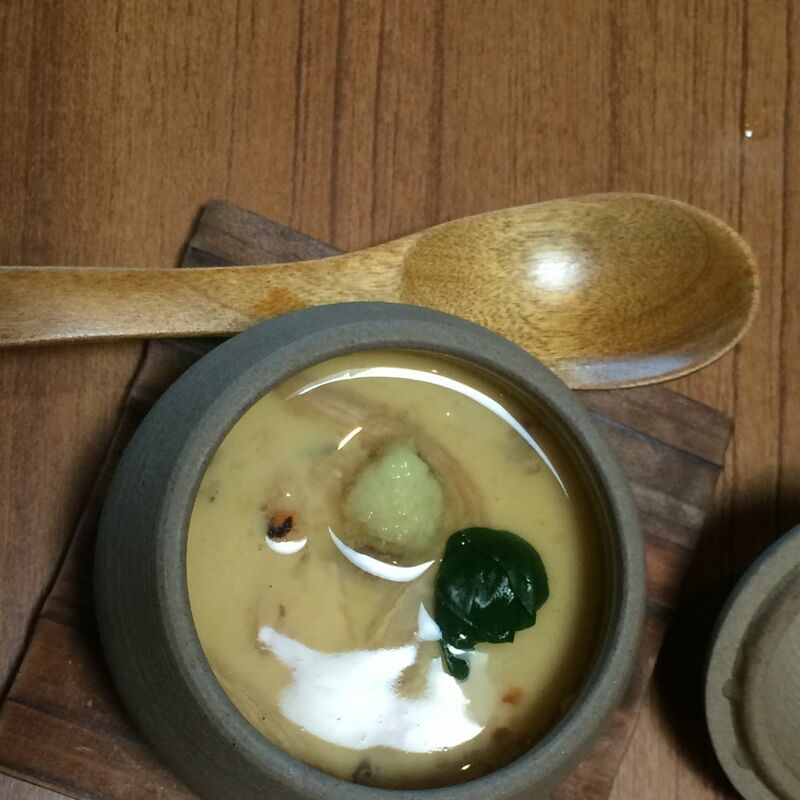 The fugu's inherent sweetness revealed itself in the form of a chawanmushi, or egg custard, filled with broth made from the fish's head and bones. Chunks of the fish melted with the soft eggs and were illuminated with chunky gingko nuts and the spice of a pile of freshly grated wasabi on top. 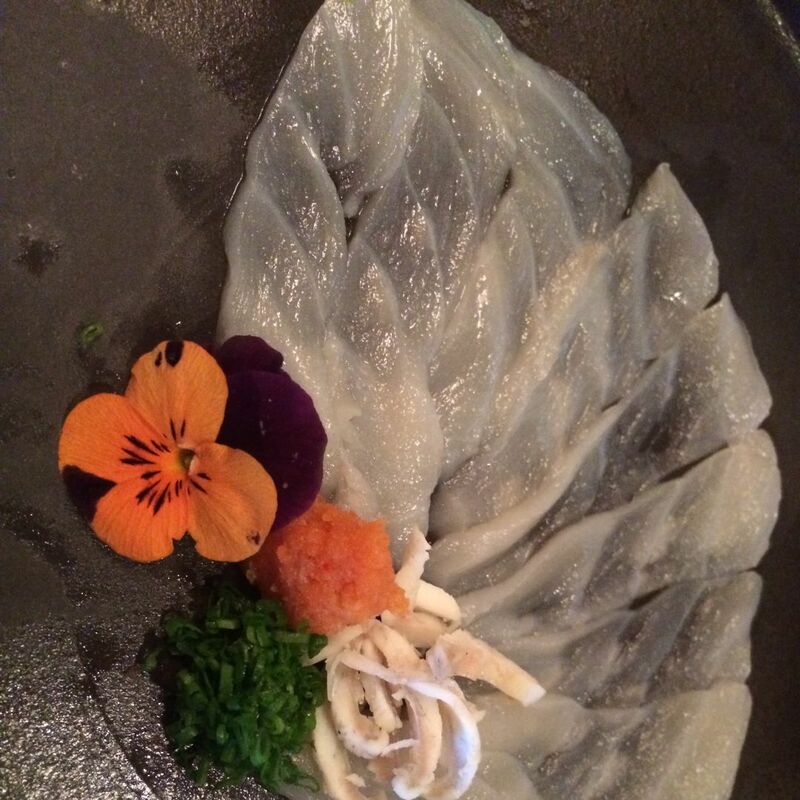 Strangely, it took tasting it fried to give me the clearest read on the flavor of the fugu. Its delicate sweetness and almost cloud-like texture showed through its karaage-style soy-ginger marinade and light crust. Tearing flesh from the fish's spine had its own appeal, not unlike eating fried fish baby back ribs. The final dish was true comfort food. Horiuchi combined egg, rice and yuzu with chunks of fugu and broth made from the fish in something that can only be described as blowfish avgolemono. 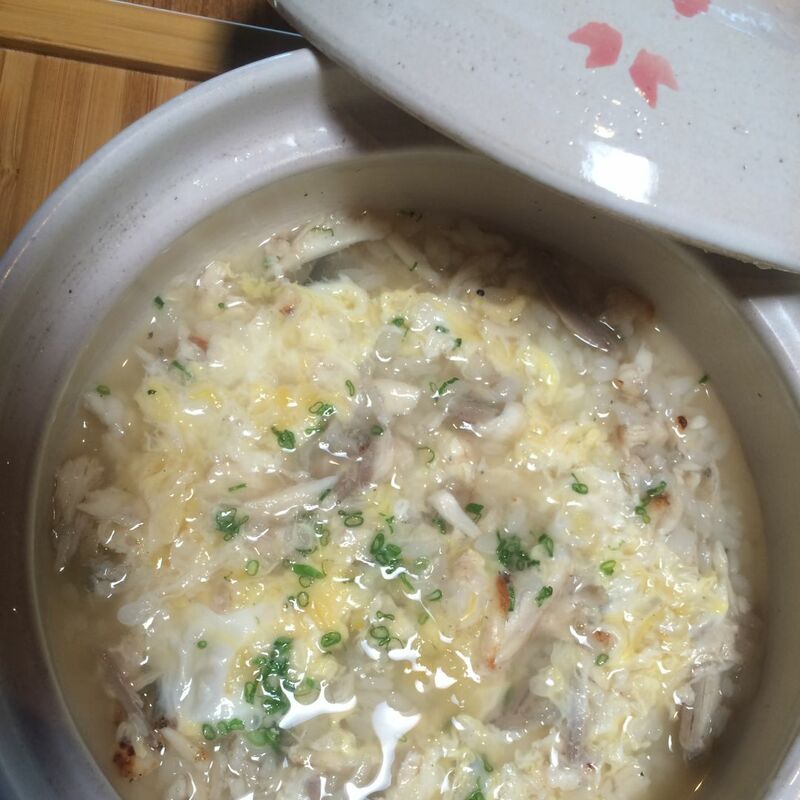 The similarities to the Greek soup were undeniable, but yuzu brought exceptional dimension to the assembled ingredients. 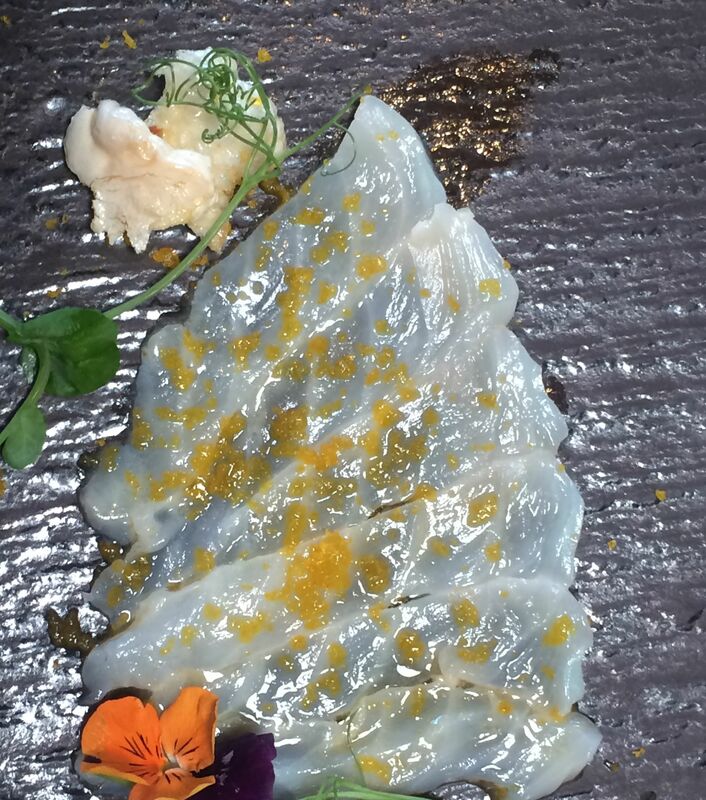 But the fugu was the star. The stock had a sweetness uncharacteristic of fish soups, with more in common with a long-stewed pho broth. I'm glad I lived to tell the tale of my meal, though if I'd died, it would have been a great story. But there's bad news to share, too. Japan has had a warm winter, which has led to a scarce blowfish season. Kata Robata has already sold out of its fugu for the year. But when it gets cold in 2017, get ready for some tasty fish, sans poison.